St Marc Spa Closed For 2nd Time. What happens when a gay bathhouse goes bust? What to do with all of those empty rooms? Why not turn it into a rooming house! That is exactly what happened with the St Marc Spa closed Bathhouse in Toronto. Once one of the busiest bathhouses in the city, this establishment suddenly went belly up. Not one to miss an opportunity, a Korean family moved in with their three kids and turned the whole place into one dormitory/rooming house named Marina Centre. Now it seems the good times have gone south. All the residences and the Korean family have received eviction notices. The city of Toronto has who issued notices on 25 violations and says that an illegal rooming house is being run, without the proper licensees. St Marc Spa closed for the 2nd time. About 90 people, many of them foreign exchange students, must find new housing after the operators of a downtown Toronto “dormitory’’ and ESL centre were issued eviction notices. The city calls it an illegal rooming house. Dong and Joy Lee’s “Marina Centre,’’ near Yonge and Wellesley, features about 100 sparse 7-by-10-foot rooms crammed along several maze-like hallways. 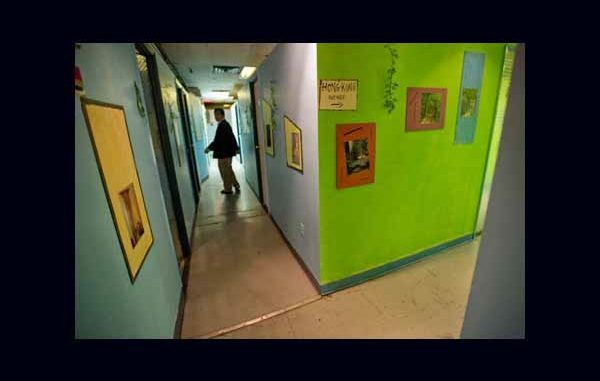 Handwritten signs reading “Paris Avenue’’ and “Marrakech’’ are posted on hallway walls to help students navigate the facility, which is in what used to be a men’s bathhouse. The tenants pay $400 a month. Fees for English lessons range from an extra $350 a month for two hours per day, to $10,500 for a year of full-time instruction. Alleging a number of violations, the building’s owner is kicking out the business and the Lees themselves, who also live there with their three sons. The centre has been visited numerous times since it opened in March by city licensing and fire department officials, who issued notices on 25 violations. The Lees say they’ve worked hard to meet compliance orders, investing about $100,000 to upgrade the facility. The landlord claims, among other things, that the Lees are violating their lease because it calls for a rooming house licence, which they failed to furnish. “The (Lees) have created more than enough trouble for the landlord,’’ wrote K.B. Ng, a lawyer representing Taiwan-based building owner Cheng Wen Construction, in a memo to a real estate agent. Ng told the Star the Lees were asked repeatedly to provide the proper permits and licences, but failed to produce them. Ng said he only became aware of the number of residents there in September. The city says the rooms are too small and no more than 25 rooms are allowed on the premises. The Lees counter that the centre is not a rooming house, and are fighting the eviction. Originally from Korea, they say all they want to do is teach young people the language that helped them get ahead. The Lees used word of mouth, brochures and online ads to draw students, though among the tenants there are also people on social assistance who are not students. The city, though not involved in the eviction, is working under its Rooming House Emergency Response Plan to help the occupants find new housing by the end of the month, spokesperson Rob Andrusevich said. An emergency meeting was held to explain the situation to the students. Tenants interviewed by the Star expressed worries about where they’ll go, but some seemed to have no complaints about the centre itself. Miyoung Go, 32, from Korea, said she likes the camaraderie with other foreign students, who hail from Korea, Japan, South America and Africa. “We study in the learning room and watch movies together,” Go said enthusiastically. She added that she didn’t find the centre crowded or the rooms too small. During the tour, the occupants appeared at ease in their surroundings. Some played pool and foosball, while others read quietly, prepared dinner, or took in some television. Illegal rooming houses exist near York University and in parts of Scarborough and North York. The city says they can be overcrowded and hazardous, while owners argue they’re simply providing cheap housing that’s in high demand from newcomers.